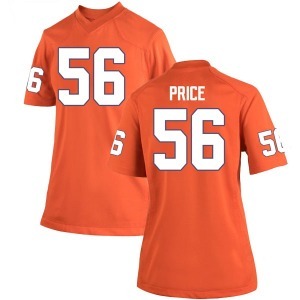 Cheer on your Clemson Tigers in this Luke Price Nike Clemson Tigers Women's Replica Team Color College Jersey - Orange from Nike! 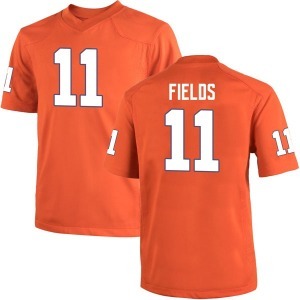 Cheer on your Clemson Tigers in this Lyles Davis Nike Clemson Tigers Women's Replica Team Color College Jersey - Orange from Nike! Cheer on your Clemson Tigers in this Lyn-J Dixon Nike Clemson Tigers Women's Replica Team Color College Jersey - Orange from Nike! Cheer on your Clemson Tigers in this Malik William Nike Clemson Tigers Women's Replica Team Color College Jersey - Orange from Nike! Cheer on your Clemson Tigers in this Marcquise Reed Nike Clemson Tigers Women's Replica Team Color College Jersey - Orange from Nike! Cheer on your Clemson Tigers in this Mario Goodrich Nike Clemson Tigers Women's Replica Team Color College Jersey - Orange from Nike! Cheer on your Clemson Tigers in this Mark Donnal Nike Clemson Tigers Women's Replica Team Color College Jersey - Orange from Nike! Cheer on your Clemson Tigers in this Matt Bockhorst Nike Clemson Tigers Women's Replica Team Color College Jersey - Orange from Nike! Cheer on your Clemson Tigers in this Matthew King Nike Clemson Tigers Women's Replica Team Color College Jersey - Orange from Nike! Cheer on your Clemson Tigers in this Max May Nike Clemson Tigers Women's Replica Team Color College Jersey - Orange from Nike!